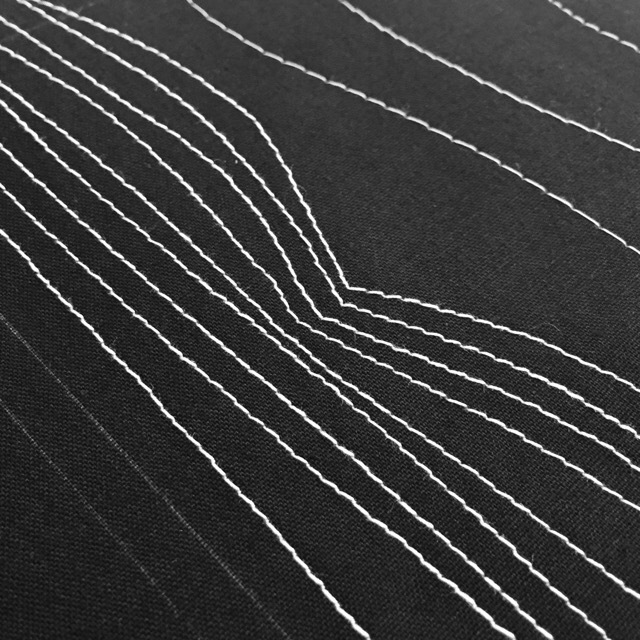 When machine stitching I end up with a lot of extra threads on the front surface of the fabric. Its commonplace and happens to everyone. I’m often asked how to resolve this problem. You could choose to snip them closely but the ends fuzz up and look mussed. Instead of snipping I choose to pull them through to the back. 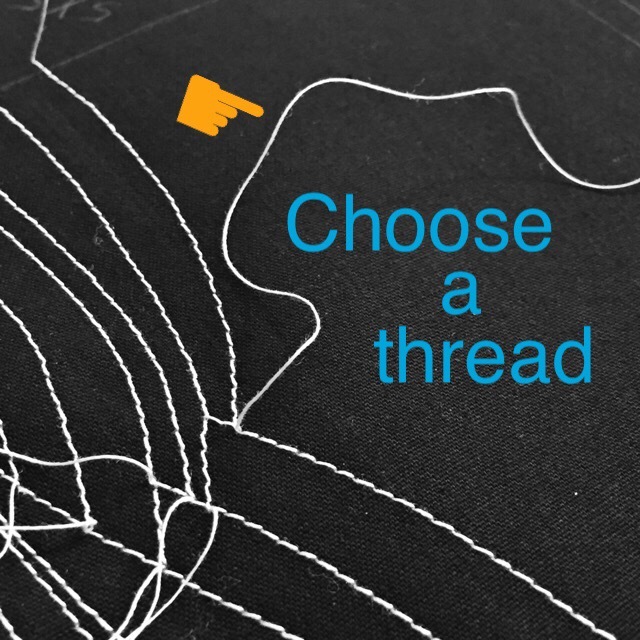 When presented with thread ends too short to pass through a needle eye the solution is an easy to thread needle. 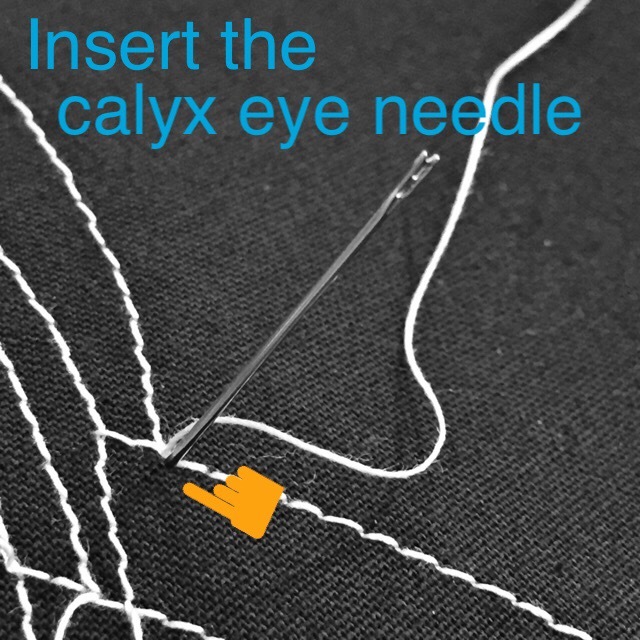 Once I started to use the calyx eye needle it became my preferred choice for all thread pulling. The Calyx Eye needle provides the best solution. 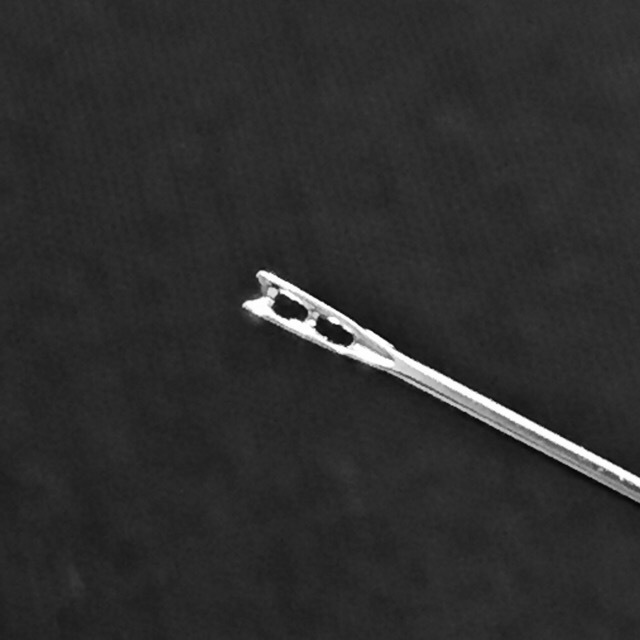 This needle is commonly known as an easy threading needle. 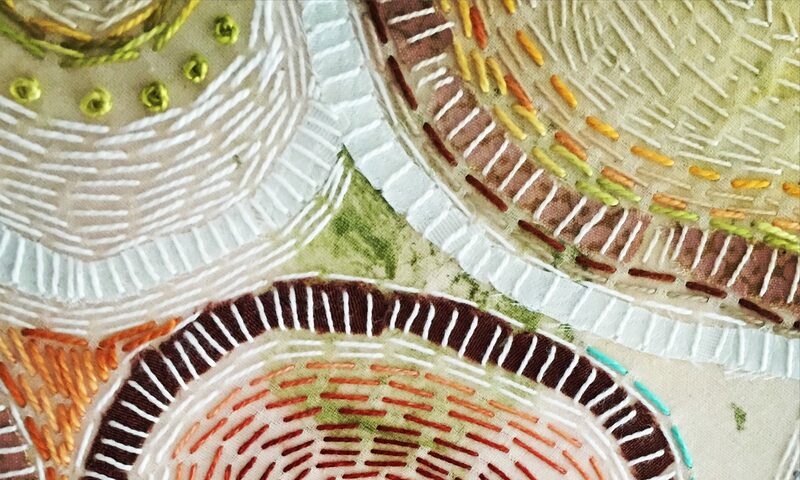 It is made with a small slit above the eye so you can pull the thread through the top. 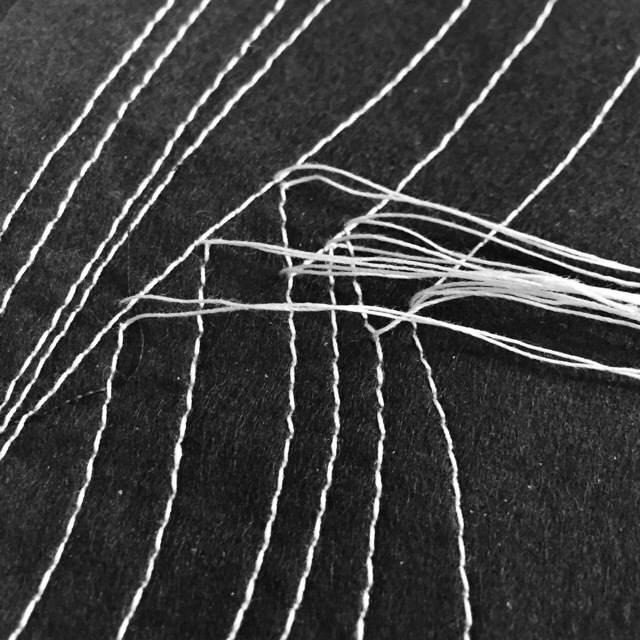 By inserting the needle in the fabric first you can pull the thread through to the back with ease. See the step-by-step tutorial below. Insert the calyx eye needle as close as possible to where the thread comes out of the fabric. Pull thread firmly down into the eye. 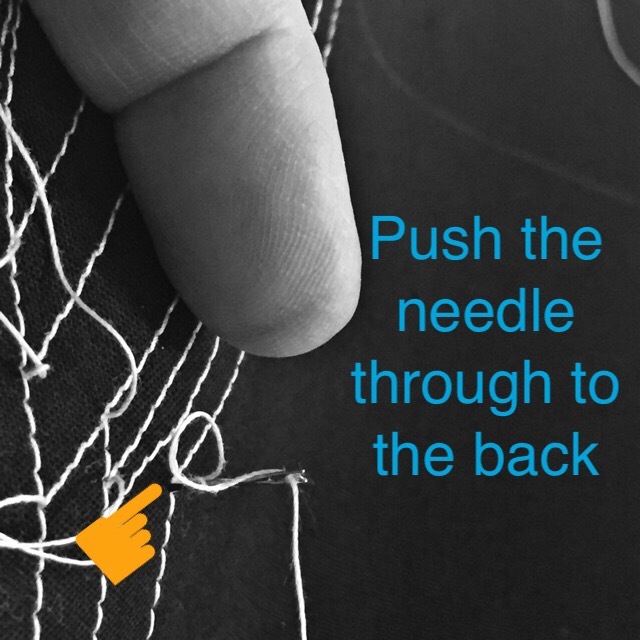 Push the needle through to the back: pulling the thread through with it. 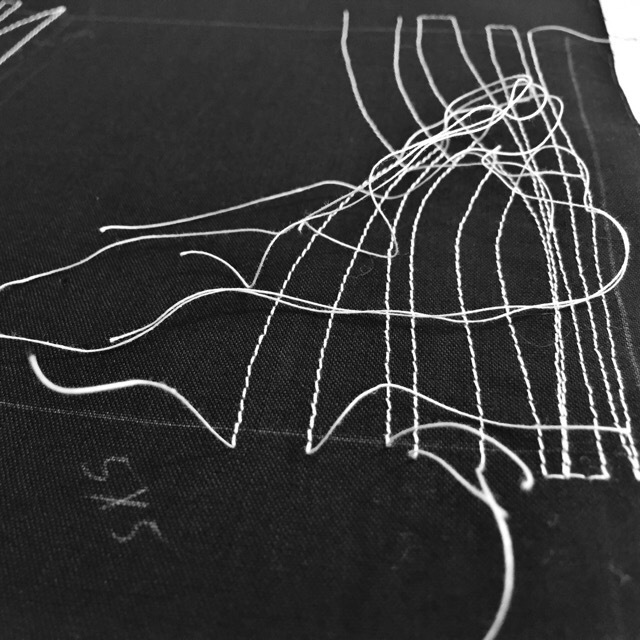 Repeat until all the excess threads are pulled through to the wrong side of fabric. Once finished the right side looks smooth without clipped threads. 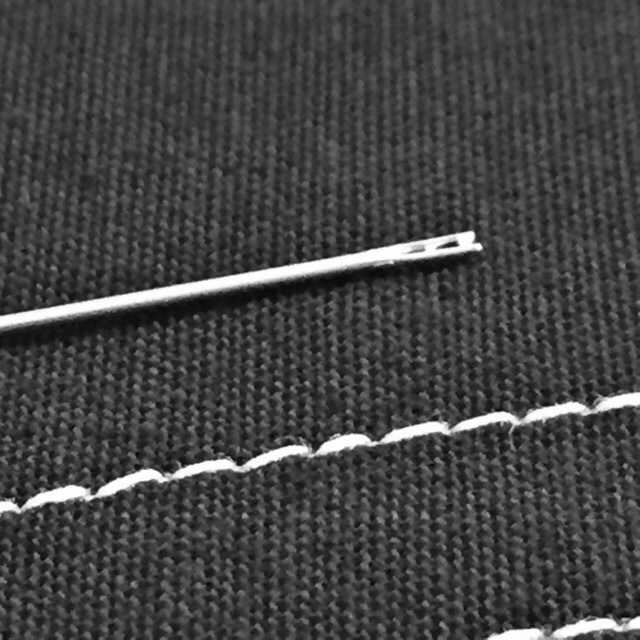 I did not know this kind of needle existed, despite my 50+ years of sewing experience. 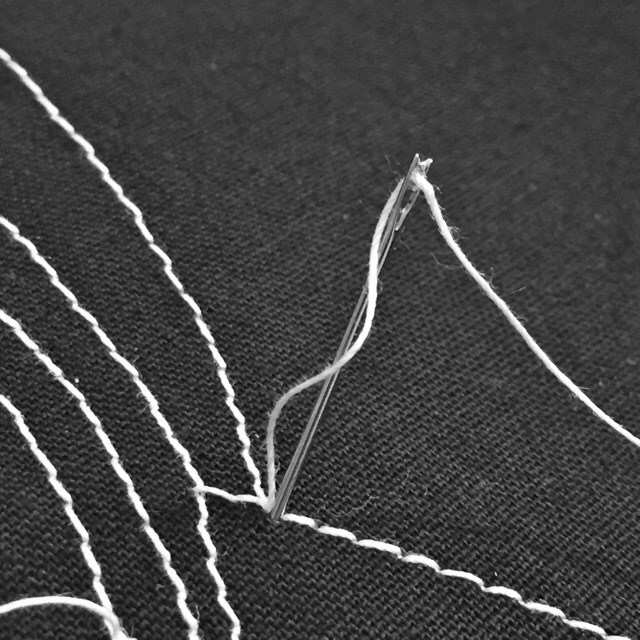 I have done the part about bringing the threads to the wrong side but with a regular needle, which is a short road to insanity. Thank you! 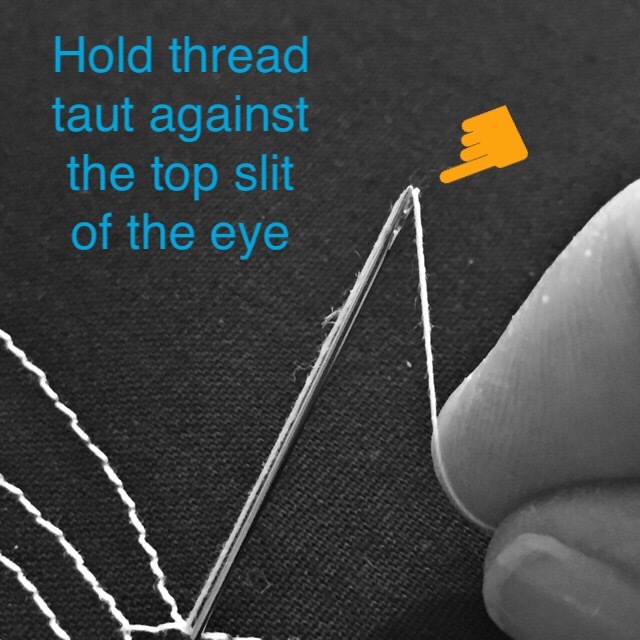 I found them about 7 years ago and they are really meant for easy threading…but I adapted them for this use immediately. I am glad you’re finding it helpful. Yes, because since I had my cataracts done, my close sight is not as good as it was, so I NEED HELP! with tiny things like eyes of needles. And now I know. Thank you. Previous PostPrevious Found. In my hand.